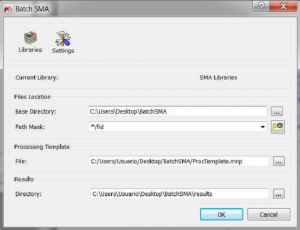 SMA has the ability to run the software in automation. You can analyze your mixtures using the Batch SMA add-on and also in real time processing mode using the Listener SMA add-on. 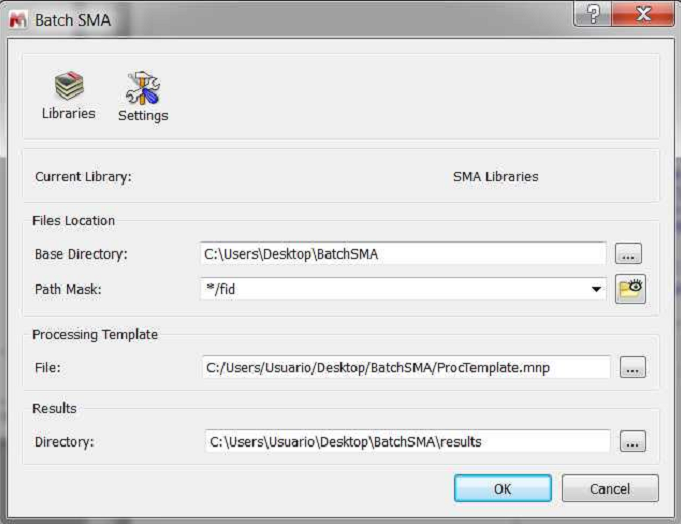 How to open your Batch SMA plugin? 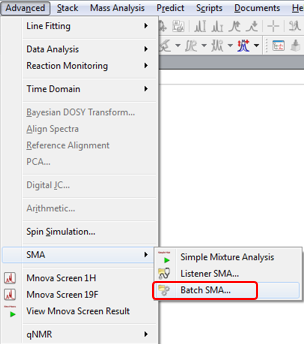 In the Batch SMA window, select the desired folder path and path mask to load your datasets into Mnova. Select a folder to save your results as well. 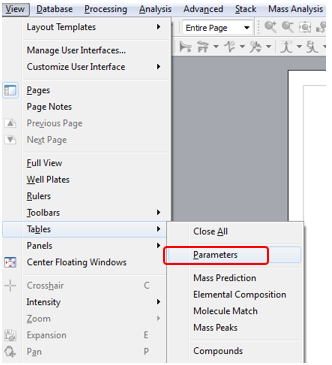 IMPORTANT: The spectra must contain all the sample-specific parameters, and the experiment name. (i.e. Aloe vera). This allows Mnova to find your experiment in the library and use the data to perform the analysis. 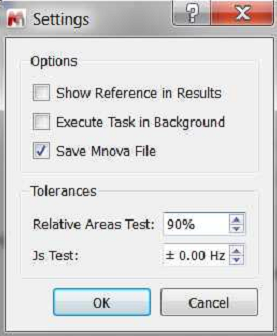 These data and experiment name can be added to the “Parameter Comment” in Mnova. 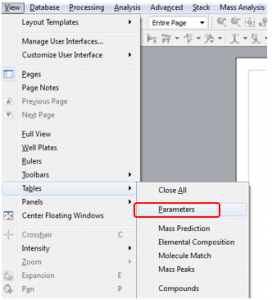 Alternatively, the information can be added to the text file (Agilent) or title file (Bruker) that go with the imported NMR data. SMA coupled to PCA: Let’s do it!